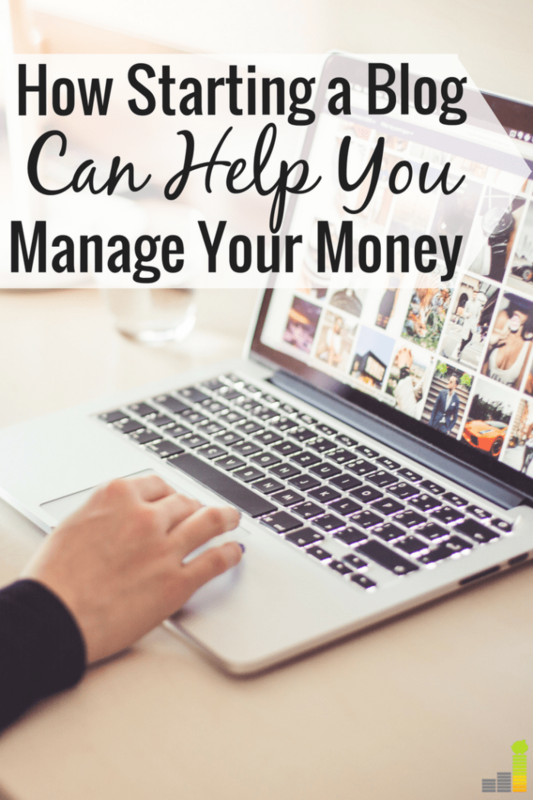 Last week, I talked about how to identify your bad spending habits and how to create better ones to take control of your financial situation. Today, I’m going to talk about how creative outlets, like starting a blog, learning to dance, taking up glass blowing or playing the ukelele can help you with that. I’ll share my own experience and share thoughts from other female bloggers whose blogs have been a creative outlet that turned into surprisingly profitable side gigs or full-time jobs. Just a few months ago, I had somewhat of an epiphany. Writing wasn’t getting my creative juices flowing as much as it had in the past. I was feeling a little restless and uninspired with my work. To change things up, I returned to my Photoshop roots. Graphic design (I use that term loosely) was something I dabbled in on and off throughout my teenage years, and I enjoyed it a lot. While it was challenging (just like any other creative endeavor), I noticed I felt much more satisfied and fulfilled after finishing a personal project than I had in months of writing! What does this have to do with personal finance? A lot! Popular reasons for spending include being bored or looking to fill a void. Finding a creative outlet can sometimes solve both of those in one go. Let’s take a look at how. First and foremost, having several creative outlets has helped me focus on what’s important. Forget endless to do lists, I also have tons of inspiration and ideas I want to get out of my head and into the world. At no point during the day do I think, “Hm, I’m bored, let me go out somewhere,” and at no point do I feel like buying something just for a temporary rush. All my focus is centered on one or two projects that are making me happy. I’m living in line with my values (creativity and helping others), and I don’t feel as though anything is missing. In fact, if anything was missing in the past, it was that creative outlet. I was caught up in working and building my business so much last year that I forgot to take time to do something just for myself. When I finally did, it felt rewarding and energizing. That simply isn’t a feeling I can get from buying things. When I create something, I’m hoping it will last for a while. I’m hoping it will help someone. I’m hoping it will help me grow as a person. You can probably see where I’m heading with this. The “starving artist” mentality is slowly fading away, replaced by hope as more and more freelancers come out of the woodwork to put their work into the world. The one thing that helped me was my blog. It initially started out as a creative project. I wanted to get back to writing, tinkering with graphic design, and site management. I wanted to contribute to an amazing community and engage in thoughtful discussion with like-minded people. Not once in the beginning of that journey did I think I’d be making a living as a writer, from my efforts there, but here I am, doing just that. I’m not the only one who has managed to turn their creative outlet into something more, either. My friend Choncè, who writes at My Debt Epiphany, has had a similar experience. She says that while she enjoys relaxing and spending time with family and friends, she spends most of her free time writing and hustling. Isn’t that the truth! The barrier to entry for starting a blog, is so low these days that anyone with a BlueHost account and WordPress can do it, and in just a few minutes. 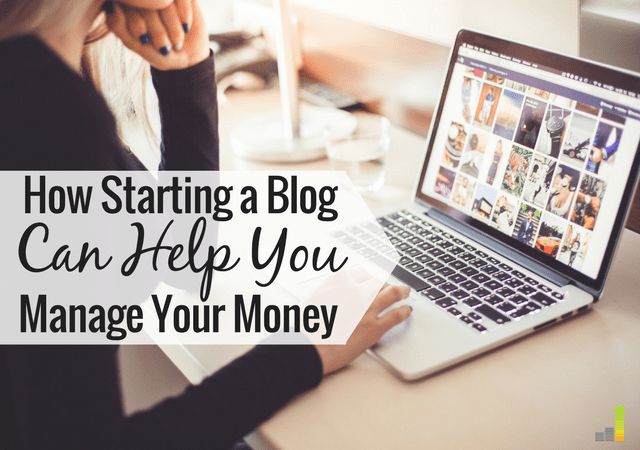 You don’t have to go into it with dollar signs in your eyes, but blogging is a fantastic way to grow your portfolio in case you want the option to freelance down the road. Choncè’s advice to others? “I think everyone should search deep down inside themselves to find out what stimulates them creatively, whether it’s a hobby or a side hustle.” She argues that it helps foster a sense of contentment, and I’ve certainly experienced that myself. Both of my friends, Melanie from Dear Debt, and Tonya from Budget and the Beach, have defied the odds with their creativity. Melanie blasted her way out of $81,000 in student loan debt with side hustles but eventually, those side hustles became her full-time job as her earnings from those surpassed what she earned at her day job. Tonya experienced the exact opposite. She had been a freelance video editor for seven years, and just recently accepted a full-time position at a company a short walk away from her apartment. She credits that to the fact she started producing videos on her blog. The most awesome thing (to me) was that she used her creativity to essentially create her own job elsewhere! She has also continued to blog on the side. Be honest. Are you one of those people who spends out of boredom? Or do you feel a sense of longing or dissatisfaction? Don’t turn to stores or other superficial means of giving yourself a temporary emotional boost. Instead, do what Choncè said and search within yourself to find something that makes you excited and happy to work on. You might not be thrilled with your current job, but that doesn’t mean you can’t find something promising to work on outside of your regular hours. I can’t tell you how many times I’ve heard from friends that their side hustle is one of the main things they look forward to after a rough day at work. Again, you don’t need to focus on making extra money, (unless you want to), but finding a creative outlet (whether that be through starting a blog or learning to paint or taking up pottery) can consequently help you become more content with what you have. It can help you focus on what’s important while taking away the influence of the media and others when it comes to being tempted to spend. I’d also add it’s important to carve out space for creativity even if you’re already in a creative field. I mentioned getting a little burnt out on writing and seeking another outlet for myself, and Cat has offered the same advice in the past. Give yourself an opportunity to focus on other things, and you’ll feel more inspired in other areas of your life. Do you have a creative outlet? Has it helped you spend less or earn more in any way? Do you feel more fulfilled and happy when you allow yourself to focus on creating? Do you have other hobbies you enjoy that aren’t necessarily creative? I started my blog so I had a place to share my ideas and beliefs about money since I didn’t necessarily have that outlet in real life. Writing on it has helped keep me accountable and moving forward. And it has helped me spend my time on something productive instead of on activities that just waste it. Yea I see a lot of potential for blogging and I think it’s going to be bigger in the future. Only 3.2 billion of the world was online in 2015. Remember we have 7 billion people, so as the rest of the world connects in the next few years, they will need info, entertainment, services, etc. So that’s why I started one while I’m getting my bachelor’s degree as it takes time to build up a blog. A lot of times I feel like blogging is a part-time job (not in a bad way) but just that there’s a lot involved! It most definitely is close to a part-time job, depending on how seriously you take it. When I was first starting out, I was checking in on things every single day. I wish I had started blogging in college! As a teenager I used to whip up short stories and send them to the local newspaper. They didn’t pay much, but I did it for the opportunity to get creative, and that’s actually the reason I started blogging about 10 years ago. Back then, I was writing about random things that interested me and over time I realized there are lots of people who actually make a decent living through their blogs – thus began the adventure. So yes, writing is a creative outlet because even though I now blog about serious personal finance stuff, I do sometimes slip in a humorous comment or two and that keeps me amused. That’s awesome! Hey, anything counts, especially when you’re younger. I took a creative writing and journalism class but never got up the nerve to contribute anything to the official outlets. I kept a journal which…kind of served as a blog, way back when. I never realized how big writing online was becoming until I started reading blogs a few years ago. It is, we have one of the best communities around (at least, in my opinion)! I’m always grateful for the support I get on my blog. I would be completely clueless about how to set up a website for a blog and how to set up links to advertisers or get on search engines. Finding subject matter for the blog would be easy. My interests are broad enough that I could supply material for three mostly unrelated blog sites if I only had the computer and internet expertise. I will agree that a creative outlet is important. My current creative outlets are making rustic log furniture and gardening. Fortunately for me I can pursue those outlets with my limited computer skills and use them to create a substantial part of my income. Oh, rustic log furniture sounds awesome! My dad really enjoys woodworking and the process behind that is so interesting. I love hearing about the different creative outlets people have. I’ll probably learn to run a blog at some point. My first time in front of a computer was three years ago. The difficulty in learning is finding entry level instruction. Most computer classes assume you start with more than basic computer knowledge. Hm, have you tried the library? The one I used to go to back home had introductory level classes – they even taught people how to use a mouse and keyboard. It could be worth a try, and it’s probably free! The library is where I learned how to use a mouse and keyboard. They also showed me how to use a search engine to find things on the internet. They don’t offer classes but they can help people use the computers. The local high school adult ed had a class in basic word processing that used wordpad. The next closest high school with adult ed is 52 miles away. There is a community college but it’s an 80 mile drive each way. Between tuition, textbooks, commuting and time away from my work the cost of one class is over $3,000. That’s the price of living at the edge of the grid. That’s almost the literal truth. There’s no cable TV or cell phone service here. DSL internet stops two houses past me. Beyond that there’s only dial up. Three more miles gets you off grid. Have you tried Fiverr? There are a lot of designers on there that will set up a blog up for you for cheap. I definitely feel like my website keeps me accountable. It is also important for me to have a creative outlet, because I love what I do! I think I’m lucky to have found my career and calling. I think most of us feel that way! I never thought I’d be in this position, but it’s much more fulfilling than the office jobs I held in the past. Thanks for including me Erin! I’m glad you revisited something that has always been fulfilling and interesting to you. I agree that having a creative outlet can help fill a void and keep you busy so you don’t have to concern yourself with unnecessary spending. Yes, I think it’s safe to say blogs are basically a part-time job, which forces us to prioritize how we spend our time. Not a bad thing if we’re prone to going out and shopping or spending a lot of money on entertainment! Writing has been a great outlet for me the past ~8 years. I agree that it’s easy to get burnt out from it. I know a lot of people who have started blogs and ended up getting really sick of writing. I spent a lot less time blogging while writing my book (thanks to you and others who stepped in) and I think it would have been terrible to try to blog consistently and also write the book. It’s tough to balance writing for yourself and writing for an audience when blogging. That’s why it’s so important (to me) to have another outlet just for myself. I don’t think I’d be able to blog and write a book simultaneously, either! I find blogging very exciting to do because I get to create a post that can influence others to be financially responsible and it’s also one of way of discovering more about myself and of others. Lastly, I get to use my hobby into something greater. Love that description, Jayson! I 100% agree. It’s amazing to think we have a platform that can reach thousands (or millions) of people. Blogging has been a great outlet for me but also an amazing learning experience that’s had a profound impact on other areas of my life. It’s opened up a new world of possibilities I’d only dreamed of before… Now I’m actively working toward them. My only regret is not starting earlier! That’s so good to hear, Diane! It’s happened to a lot of us, it seems. I wish I had started sooner, too!